So there we were yesterday. 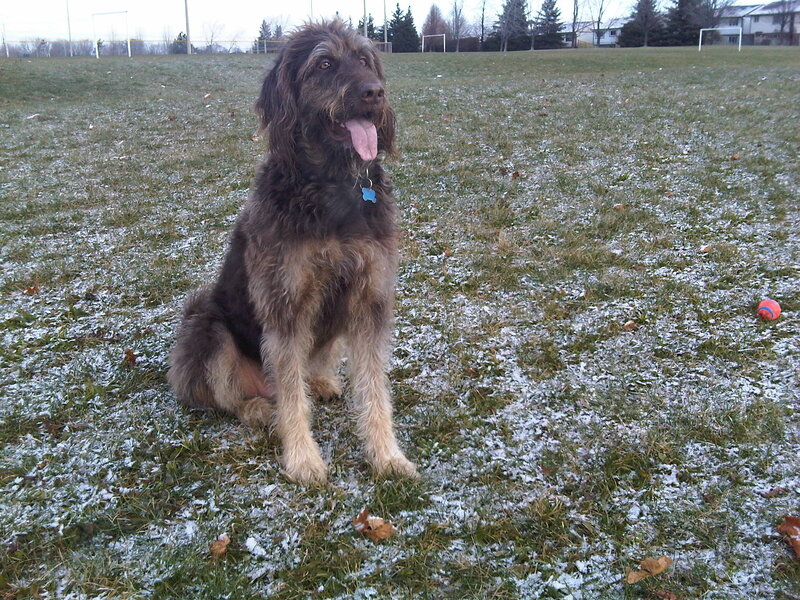 So excited to finally see snow on the ground when we were out for our morning walk! 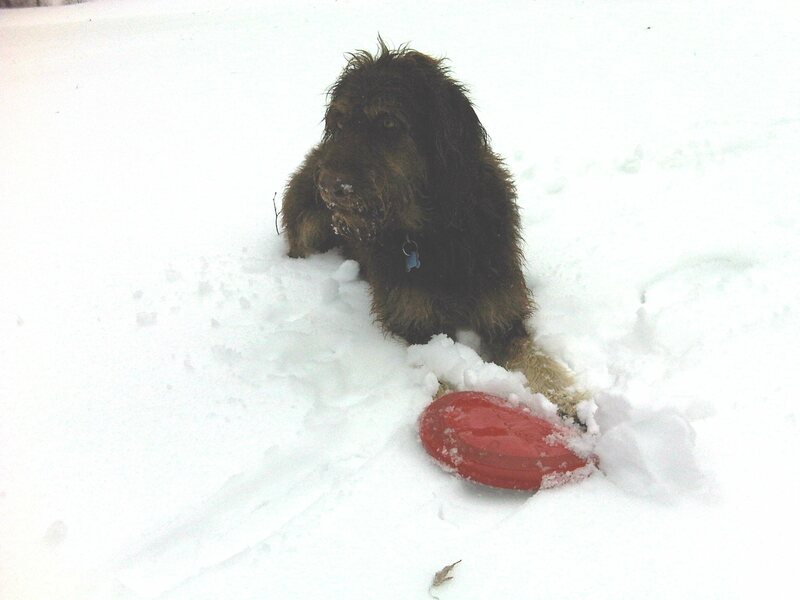 Gus kept putting his nose in it and sniffing – as if remembering a long lost friend from last winter. True, there wasn’t much. 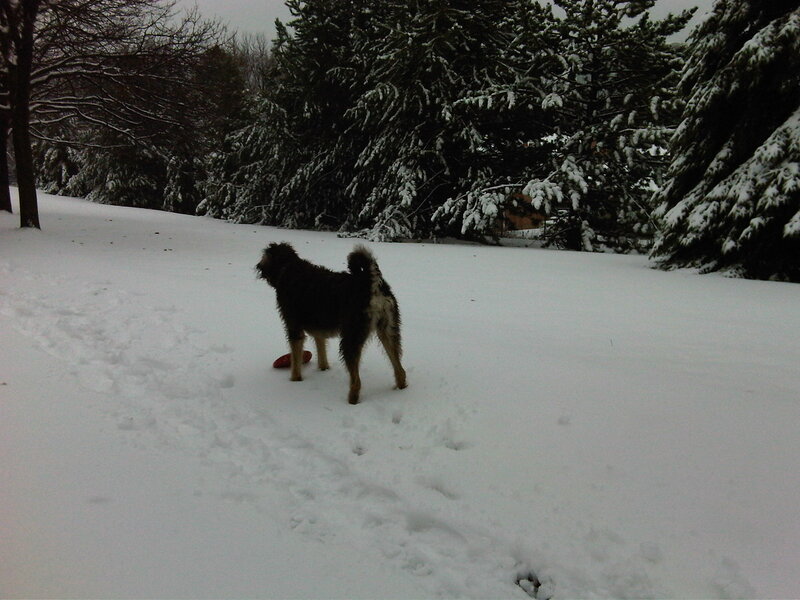 But given how late it is in the season, we were happy just the same to finally see the white stuff on the grass. We thought it was a really big deal. Then. . . we woke up this morning, and WOW!! There’s something about the first real snowfall of the season that brings out the same excitement in me. That feeling of winter finally being here; of welcoming back an old friend. I’m sure you also have wonderful childhood memories of bundling up and running out in the newly fallen snow. Everything looks so beautiful and magical, transformed by a white cloak. The possibilities seem endless. As adults, we tend to look at the snow in terms of negatives. Traffic snarls, driveways to shovel, and boots to locate can dominate our thoughts as we gaze upon the first white blanket of the season. For just a minute, put all those grown up thoughts aside and remember the childlike (or dog-like) excitement that really should accompany this magical moment. Now, go outside and play!